All proceeds will go to Indiana Writers Center to help promote literacy in Indiana. Please note that this is a 21+ event, as all of the locations we are stopping at are bars. Though there is no requirement to drink, it is Indiana state law that no one under this age can enter these establishments. Raffle – There will be a raffle the night of the event with some great prizes from our wonderful sponsors! After last years Banned Book theme, we decided we should have a little hope. This year our theme is Sanctuaries and Secret Societies in Literature. Crawl begins at the Hi-Fi, then breaks into groups and crawl to various stops. Go here for all the details and to register. Indianapolis Celebrates Freedom to Read with Banned Books Week “Prisoner” and Week of Programming. Join us as we transform the Kurt Vonnegut Museum and Library into a cozy salon where community members can gather to ask big questions about art, citizenship and humanity. 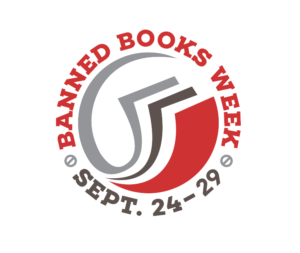 This year, Banned Books Week is September 24-September 29, and we are thrilled to welcome a host of guests to discuss censorship, book banning, and many other topics. Please RSVP for the celebrations here! Join us for our monthly featured author/open mike series that happens every 4th Tuesday of the month. 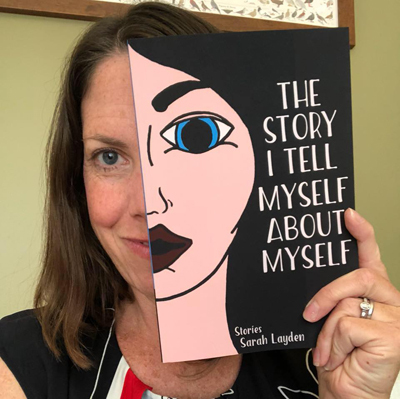 This month our featured author is Sarah Layden. Sarah Layden is the author of the novel Trip Through Your Wires (Engine Books), and her short stories appear in Boston Review, Booth, PANK, Artful Dodge, and elsewhere. Her essays can be found in Salon, Ladies' Home Journal, and The Humanist, among others. The Story I Tell Myself About Myself, flash fiction, won the Sonder Press 2017 Chapbook Competition. She teaches creative writing at IUPUI and the Indiana Writers Center. http://www.sarahlayden.com. Go here to register for the event. 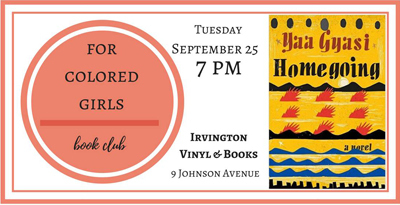 Join us For Colored Girls Book Club for our September meeting! We will be discussing Homegoing by Yaa Gyasi. The story of two half-sisters, Effia and Esi, are born into different villages in eighteenth-century Ghana. Effia is married off to an Englishman and lives in comfort in the palatial rooms of Cape Coast Castle. Unbeknownst to Effia, her sister, Esi, is imprisoned beneath her in the castle's dungeons, sold with thousands of others into the Gold Coast's booming slave trade, and shipped off to America, where her children and grandchildren will be raised in slavery. One thread of Homegoing follows Effia's descendants through centuries of warfare in Ghana, as the Fante and Asante nations wrestle with the slave trade and British colonization. The other thread follows Esi and her children into America. From the plantations of the South to the Civil War and the Great Migration, from the coal mines of Pratt City, Alabama, to the jazz clubs and dope houses of twentieth-century Harlem, right up through the present day, Homegoing makes history visceral, and captures, with singular and stunning immediacy, how the memory of captivity came to be inscribed in the soul of a nation. Donations are welcome! Lynda Barry is the Chazen Family Distinguished Chair in Art at the Wisconsin Institute for Discovery. In 1979, while pursuing a career as a painter, she began drawing a weekly comic strip that incorporated stories considered to be incompatible with comics at the time: stories, as Barry puts it, “that had a lot of trouble in them.” Widely credited with expanding the literary, thematic, and emotional range of American comics, Barry’s ground-breaking weekly strip, Ernie Pook's Comeek, ran for 30 years. Her graphic novel, What It Is, won the 2009 Eisner Award for Best Reality-Based Work, and in 2016 she was inducted into the Eisner Hall of Fame. Barry has authored seventeen books, worked as a commentator for NPR, and had a regular monthly feature in Esquire, Mother Jones Magazine, and Mademoiselle, and on Salon.com. She created an album-length spoken word collection of stories called, The Lynda Barry Experience, and was a frequent guest on the Late Show with David Letterman. She also adapted her novel The Good Times Are Killing Me into a long-running off-Broadway play. In 2008, her book One! Hundred! Demons! was required reading for all incoming freshmen at Stanford University. Her novel Cruddy has been translated into French, Italian, German, Catalan, and Hebrew. She is currently at work on an illustrated novel called Mr. Birdis and a documentary in comic book form about industrial scale wind farms in Wisconsin. 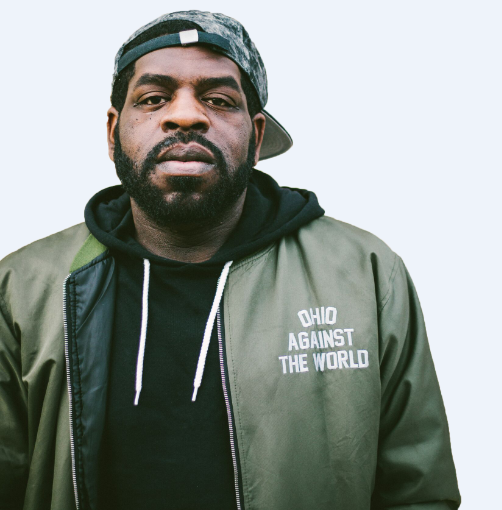 Poet, essayist, and cultural critic Hanif Abdurraqib will speak and read from his work. His books include "They Can't Kill Us Until They Kill Us" and "The Crown Ain't Worth Much," and his work addresses a range of topics, including the n-word, racial profiling, and contemporary music and sports. The event will be held in TC 121. 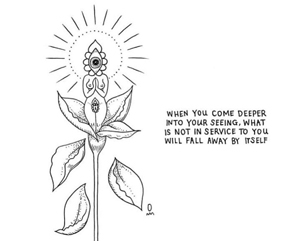 Sophie Labelle is a Canadian author, cartoonist, and public speaker. 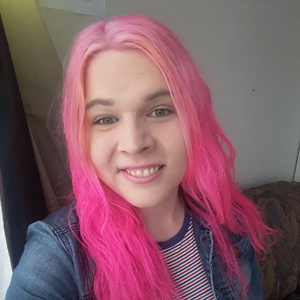 She is transgender and known for her webcomic Assigned Male detailing her experiences as a trans woman.She is active in the transgender rights movement and speaks on the subjects of trans history and transfeminism. PFLAG (Indianapolis Chapter) is sponsoring her visit. Join FAF Collective fam for another poetry reading! 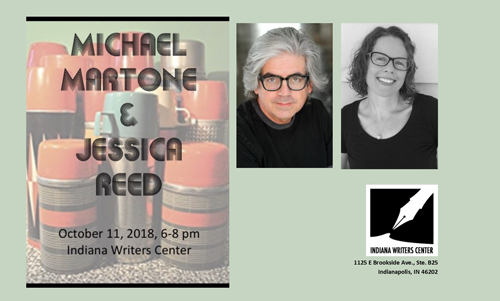 The IUPUI Arts & Humanities Institute and the Rufus & Louise Reiberg Readings Series present writer Michael Martone- A celebration of the 20th Anniversary of the Reiberg Series! 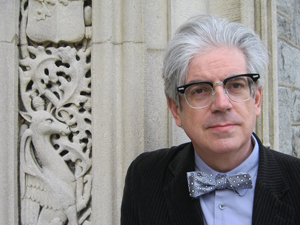 Michael Martone's recent books are The Moon Over Wapakoneta, Brooding, Winesburg, Indiana, and Four for a Quarter. 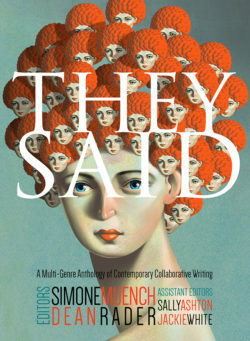 The University of Georgia Press published his book of essays, The Flatness and Other Landscapes, winner of the AWP Award for Nonfiction, in 2000. His stories and essays have appeared in Harper's, Esquire, North American Review, Iowa Review, and other magazines. 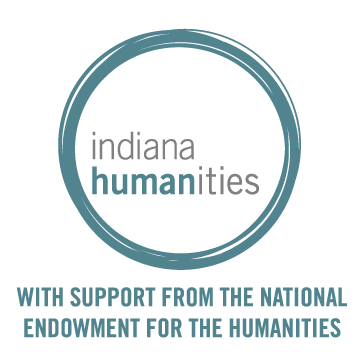 Martone has won two Fellowships from the NEA and a grant from the Ingram Merrill Foundation. His stories and essays have appeared and been cited in the Pushcart Prize, The Best American Stories and The Best American Essays anthologies. In 2013 he received the national Indiana Authors Award, and in 2016, the Mark Twain Award for Distinguished Contribution to Midwestern Literature. 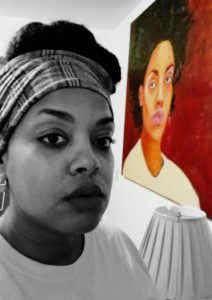 Martone was born and grew up in Fort Wayne, Indiana. He attended Butler University and graduated from Indiana University. He holds the MA from The Writing Seminars of The Johns Hopkins University. Martone is currently a Professor at the University of Alabama where he has been teaching since 1996. He has been a faculty member of the MFA Program for Writers at Warren Wilson College since 1988. John Jodzio’s work has been featured in a variety of places including This American Life, McSweeney’s, and One Story. He’s the author of the short story collections, Knockout, Get In If You Want To Live and If You Lived Here You’d Already Be Home. 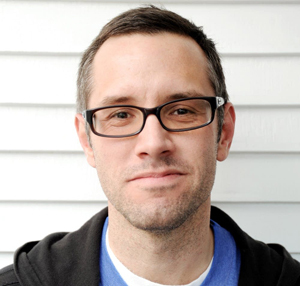 Joshua Bennett (poet) is the author of The Sobbing School (National Poetry Series Winner, selected by Eugene Gloria). He will read Wednesday, October 3, 2018, at 7:30 PM in Peeler Art Center Auditorium. 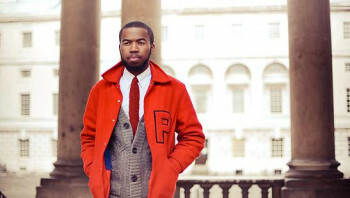 Joshua Bennett received his Ph.D. in English from Princeton University. He was a member of the Society of Fellows at Harvard University, and has received fellowships from the Callaloo Creative Writing Workshop, the Josephine de Karman Fellowship Trust, the Hurston/Wright Foundation, and the Ford Foundation. 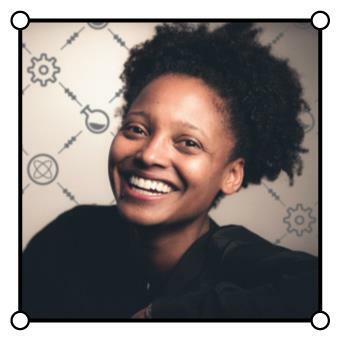 Bennett tours nationally and internationally as a performance artist and has recited his original work at the Sundance Film Festival, the NAACP Image Awards, and President Obama’s Evening of Poetry, Music, and the Spoken Word at the White House. Thursday, October 4; 7 p.m.
Tracy Mishkin, a frequent guest of Poetry on Brick Street, is back with a new chapbook, This Is Still Life (Brain Mill Press). Tracy is a call center veteran with a PhD and an MFA in creative writing from Butler University.Her previous chapbooks include I Almost Didn't Make It to McDonald's (Finishing Line Press) and The Night I Quit Flossing (Five Oaks Press). An open mic follows this free program. 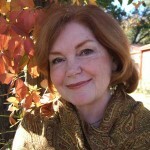 Thursday, October 4th at 7:30 p.m.
Mary Leader began writing poems in the midst of a career as a lawyer in her home state of Oklahoma. She holds a PhD in literature from Brandeis University and is currently Professor Emerita at Purdue University. 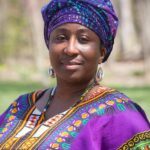 Winner of the Iowa Poetry Prize and the National Poetry Series, Leader has just published her fourth book of poems, She Lives There Still (Shearsman Books, May 2018). A reading and discussion with Dr. Emily Wilson. Books available for purchase from our friends at Wild Geese Bookshop. 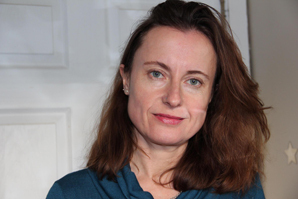 Dr. Emily Wilson, the first female translator of the Odyssey into English, is a Professor in the Department of Classical Studies and Chair of the Program in Comparative Literature and Literary Theory at the University of Pennsylvania. Her books include The Death of Socrates, 2007, and a new translation of selected tragedies by Seneca, 2010. She is the Classics editor of the Norton Anthology of Western Literature, 2013, and the revised Norton Anthology of World Literature, forthcoming later this year. She published The Greatest Empire: A life of Seneca, in 2014, and four translations of plays by Euripides in the Modern Library The Greek Plays (2016). Her verse translation of the Odyssey was published in November 2017.